Curt Krippner worked out for Brewers coaches in July 1987. Brewers coaches hoped their second-round pick would finally sign, according to The Milwaukee Journal. "He threw well," Brewers scouting coordinator Dan Duquette told The Journal. "He has a good fastball, a heavy fastball which is hard to catch and hard to hit." The University of Texas product soon signed, but not in time to play in 1987. He first hit the field the next year and played in a total of four seasons. He never made AA. 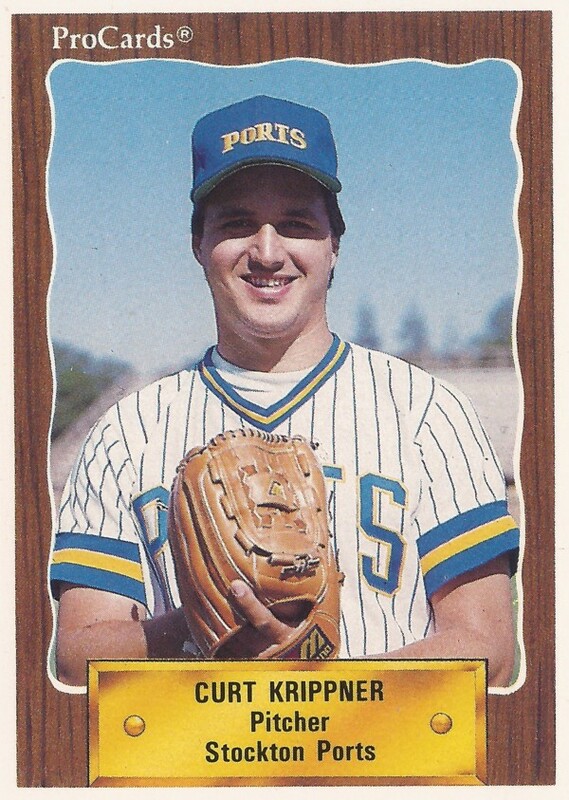 Krippner's career began that year in 1987, taken by the Brewers 55th overall out of Texas. He went to Texas out of Cypress Creek High School in Houston and turned down a 1984 second-round selection by the Reds to go to Texas. With Texas, Krippner threw a complete game in a March win over Baylor. In May, he earned Converse Division I All-America honors. He also helped the Longhorns to the 1987 College World Series. He went three innings of shutout relief to help eliminate Florida State - after throwing a complete game loss to Stanford. "Once I got in there I didn't even care if I was hurting or not," Krippner told The Associated Press afterward. "I was going to keep throwing, because I think I was all on adrenalin. I wanted to win that game pretty bad." Krippner played his first season with the Brewers between rookie Helena and single-A Beloit. He threw a complete-game, seven-hitter in a July Helena win over Salt Lake. Overall, Krippner went 5-9 between the two levels, with a 4.21 ERA. 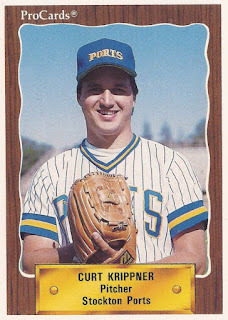 Krippner returned to Beloit for 1989, going 8-9 with a 4.06 ERA. He then started 1990 at high-A Stockton. He got into only two games, giving up five earned in two innings. His final season came in 1991 at short-season Erie. He went 3-6 over 15 outings, with a 5.50 ERA, ending his career.